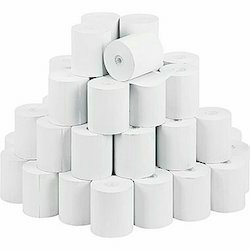 We are the leading Manufacturer, Supplier and trader of POS Printer & Thermal Rolls. We are an eminent entity in this domain, engaged in offering a comprehensive range of POS Printer & Thermal Rolls. 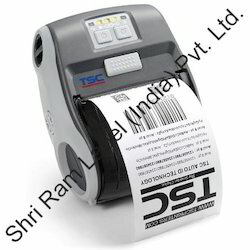 Our product range also comprises of Barcode Labels, Product Labels and Computer Labels. The offered range is widely used in banks, movie halls and hotel industry. It is made using optimum quality paper with the help of cutting edge technology under the guidance of adept professionals. We offer this range in different sizes and at reasonable prices. With a firm commitment to quality, we manufacture and supply a wide assortment of Thermal POS Printers. It is available in various sizes and colors, as per the requirements of our esteemed clients. Apart from this, we test the entire range on various parameters to ensure the quality. We are the leading Manufacturer, Supplier and trader of Receipt Printers & POS Bundles. We are among the well-known manufacturers and suppliers of excellent quality range of Receipt Printers & POS Bundles which are available in different sizes and quality paper. Provided rolls are widely used in ATM machines, eye testing machines, weighing machines etc. These are provided with various features like easy to maintain and utilize. We offer unmatched quality of these papers that are manufactured using quality assured basic material. Clients can avail these bundles at budget friendly prices.